This Section of the EMP identifies FHSU's preparedness strategies and defines the roles and responsibilities of various groups utilized in the preparedness process. 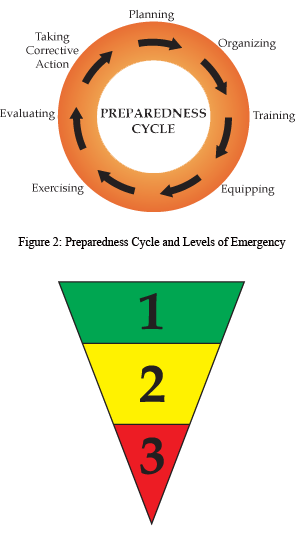 Preparedness involves a continuous cycle of planning, organizing, training, equipping, exercising, evaluating and correcting. Numerous conditions may impact the severity level of any emergency on campus. First responders will initially determine the level of emergency response. FHSU Police Officers will usually be the first responders to an incident on FHSU's campus. Level 1 -A minor event handled by UPD or other emergency responders. The incident does not cause major interruption of operations or services. The Chief of UPD may determine that Incident Command needs to be established in the field. It is usually not necessary to activate the EMP. (Examples: A motor vehicle injury accident at FHSU or a water main break in an academic building). Level 2 -A major emergency that disrupts the operations of FHSU and may necessitate closing the institution for a period of time. Outside emergency resources are required, as well as a major effort from all available campus resources. The EOC is activated. (Example: A residential life building is vacated due to a fire in which the building is no longer available for use). Level 3 -A severe emergency. FHSU may request mutual assistance from the City of Hays, Ellis County and state agencies or request federal assistance via the State of Kansas Emergency Operation Center. The EOC is activated. (Example: A major storm in which utilities and campus operations are impacted for an extended period of time). The first responder to an event will make a preliminary determination of the level of emergency. If the incident is a level 2 or 3 emergency, the Emergency Co-Managers will request that the president declare a campus state of emergency. Only the president or designee - according to the line of succession below - has the authority to declare a campus state of emergency. A declared emergency authorizes the Emergency Co-Managers to activate the EMP and the EOC. Following such declaration, IMT members are notified. Normal FHSU functions may be interrupted or suspended during a declared campus emergency. FHSU staff members may be redirected from their normal job duties to perform necessary functions contained in the EMP. 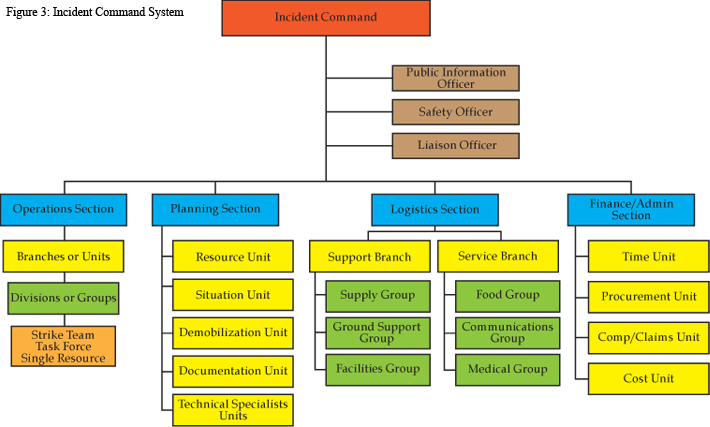 The emergency functions assigned to specific FHSU staff members identified in this EMP should be as similar as possible to their daily operating job functions. FHSU's ENS is hosted by a contracted vendor. Either of the Emergency Co-Managers may initiate an emergency notification, but whenever possible, the notification will be sent upon the agreement of both Emergency Co-Managers.  The sender(s) will determine the content of the message as well as the method by which the alert will be sent. Whenever possible, an instant alert will be sent using the FHSU e-mail system, and an emergency alert will be posted on the FHSU home page. Updates and instructions regarding the emergency will also be posted on the home page. If necessary and practical, FHSU will deploy an emergency website to be activated in the event the main website is inoperable. The Incident Command System (ICS) is used to manage emergency incidents and significant non-emergency events, such as Commencement. The system has built-in flexibility to expand or contract based on the needs of the particular event. It is a uniform system, and personnel from a variety of agencies and geographic locations can be quickly incorporated into a common management structure. The IC will establish an Incident Command Post (ICP). The ICP is the field location at which the primary tactical-level, on-scene incident command functions are performed. Examples of an ICP include the following: vehicle, mobile command post, trailer, tent or area within a building. The ICP will be positioned outside of the present and potential hazard zone but close enough to the incident to maintain command. Every incident must have some form of ICP. In a crisis requiring response by local emergency personnel, the IC will initiate Unified Command. Unified Command is a team effort that allows all agencies with responsibility for the incident to manage the incident by establishing a common set of objectives and strategies. This is accomplished without losing or abdicating agency authority, responsibility or accountability. FHSU General Counsel serves as the Coordinator of the Critical Incident Policy Group (CIPG) and, members are appointed by the President to create, evaluate, implement and review the provisions of the EMP. The CIPG includes the President, Vice President for Administration and Finance, Vice President for Student Affairs, General Counsel, Associate Vice President for Student Affairs and Registrar, Director of FHSU Police, Director of University Relations, and two appointed faculty representatives. In addition, the specific members, duties and protocols are contained in the Preparedness Appendix. Four working groups report directly to the CIPG, and include: the BIT, the Continuity of Operations Planning (COOP) group, the Crisis Training Group and the Information Security Team. During a declared emergency, the Emergency Co-Managers activate the EMP, open the EOC if a level 2 or 3 emergency is declared, and coordinate the actions of the general staff. One of the Emergency Co-Managers represents public safety and the other represents FHSU administration. Either emergency co-manager has the authority to activate the EOC, request a declaration of a level 2 or 3 emergency and activate the ENS, although it is expected that in most cases the Emergency Co-Managers will collaborate and jointly agree to these actions. When the EOC is activated, the emergency co-manager representing public safety will coordinate the Operations area of the EOC, while the emergency co-manager representing administration will coordinate the Planning, Logistics and Finance functional areas. The emergency co-manager representing public safety will also serve as liaison to the incident commander, and the emergency co-manager representing administration will serve as liaison to the President and senior administration. Following the conclusion of an emergency, the Emergency Co-Managers will provide debriefings to both FHSU administration and the CIPG, recommending any necessary changes to campus safety policies or the EMP. The Emergency Co-Managers and members of CIPG will be primarily responsible for maintaining the EMP during times of non-emergency. The Emergency Co-Managers and the IMT support the Incident Commander (IC). When an emergency is declared, the IMT coordinates the response and recovery operations during that event. The IMT reports to the President and is coordinated by the Emergency Co-Managers. The IMT is modeled on the ICS and has four major functional areas: operations, planning, logistics and finance/administration. 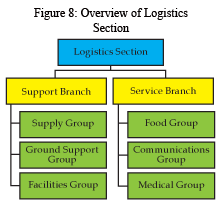 The organizational structure of the IMT may be adapted to account for the type, size, scope and complexity of a given event. The IC leads the response to the event. The four functional areas may be used to organize the staff as needed. 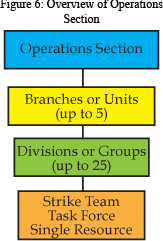 Each of these functional areas may have subordinate branches, divisions, groups or units, depending on the incident. If one individual can simultaneously manage all major subordinate functional areas, no further organization is required. If one or more of the functions requires independent management, an individual is assigned responsibility for that function. The section chiefs of each functional area report directly to the IC. The Section Chiefs will further delegate management authority for their areas as required. The Section Chiefs will compile and maintain a list of essential personnel required for their functional area during a level 2 or 3 emergency, which will include contact information. Unless otherwise specified, all FHSU employees are subject to call-back during a level 2 or 3 emergency. The specific members, duties and protocols are contained in the Preparedness Appendix. Incident Commander (IC) (Situational depending upon the event): Responsibilities include overseeing the response to all incident activities, including development of strategies and ordering of resources. FHSU Public Information Officer (Director of University Relations): Responsibilities include management of internal status reports, coordination with the IMT to provide external media briefings and serving as liaison to any external agency PIOs. An area on campus will be designated the media area for the PIO so as not to interfere with the operations of the IMT or FHSU. Safety Officer (General Counsel/Executive Assistant to the President): Responsibilities include developing and recommending measures for ensuring personnel safety and assessing and anticipating hazardous situations. The Safety Officer may alter, delay, suspend and terminate any and all operations immediately that are dangerous to the life and health of personnel. FHSU Liaison Officer (Director of FHSU Police): Incidents that are multi-jurisdictional may require the establishment of this position on the Command Staff. Responsibilities include serving as liaison between the CIPG, the Ellis County Emergency Operations Center and the Local Emergency Management Group and other Emergency Responders. FHSU Emergency Operation Center (EOC) Operations Coordinator (Director of FHSU Police): Responsibilities include serving as the primary advisor to the IC on emergency operations and functions. This position ensures all required personnel are present and technological systems are functioning as planned. FHSU Police Department (UPD) Administrative Specialist/Office Manager-Telephone support, documentation manager and support to Operations Section. Administrative Assistant to General Counsel - Telephone and documentation support. Facilities Planning Secretary - Support to Planning Section. Purchasing Administrative Assistant - Telephone and student support. Administration and Finance/Purchasing Administrative Assistant - Support to Finance Section. Tiger Info Supervisor - Telephone and student support. Student Affairs Office Manager - Support to Logistics Section. Virtual College Administrative Specialist - Telephone and student support. International Student Services Office Manager - Telephone and student support. Registrar's Office Administrative Assistant - Telephone and student support. Provost's Office Manager - Telephone and staff support. Personnel Office Manager - Telephone and staff support. EOC Communications Technology Specialist (Computing and Telecommunications Center's New Development Manager): Responsibilities include providing support for hardware and systems and telecommunications. Operations Section Chief (Situational depending upon event): Responsibilities include managing on-scene tactical operations as established by the IC. These duties generally involve reducing the immediate hazard, saving lives and property, establishing situation control, and restoring pre-incident conditions. The Operations Chief manages Operations' staff and provides technical advice and recommendations to the IC. This position serves as a back up to the EOC Incident Commander. Planning Section Chief (Director of Facilities Planning): Responsibilities include cooperating with other Section Chiefs and preparing the Incident Action Plan and other planning documents during the incident, as defined by the IC. The Planning Chief gathers, analyzes and provides information to other IMT members and assesses damage to FHSU facilities. The Planning Chief also manages documentation and financial information relating to the incident. Logistics Section Chief (Vice President for Student Affairs): Responsibilities include ordering resources; acquiring facilities, transportation, supplies; equipment maintenance and fueling; food service; communications; and medical services for incident personnel. When the incident is large, the Logistics Section can be divided into two branches: Service and Support. Finance Section Chief (Vice President for Administration and Finance): Responsibilities include all financial, administrative and cost analysis for the incident. The Finance Section Chief must track and report costs to the IC and monitor expenditures in compliance with applicable laws and regulations. Coordination with the Planning Section and Logistics Section is also essential so that operational records can be reconciled with financial documents. Four subordinate units fall under the supervision of the Finance Section Chief, depending on the incident. These include the Compensation/Claims, Cost, Procurement and Time Units. In some of the functional areas, an actual unit may not be necessary if it would consist of only one person. In such a case, a technical specialist could be assigned. Personnel having responsibilities during an emergency need to be made aware of their responsibilities and how to go about fulfilling them. The Training Plan describes the training to be provided, to whom the training will be provided and who will provide the training. CIPG members will be trained in the NIMS, the ICS and the EMP. NIMS and ICS training will be provided by the Federal Emergency Management Agency, Kansas Department of Emergency Management or other third parties. Minimum levels of training include ICS 100 and IS 700. Training under the EMP will be conducted by the Emergency Co-Managers. CIPG members will receive periodic updates and reviews. New members to CIPG will be trained upon appointment. Command Staff will receive training on NIMS and ICS with the goal of achieving training up to the level of ICS 400. Any additional personnel who would benefit from this level of training will be included to the extent possible. IMT members will also receive training in the EMP. Section Chiefs - Section Chiefs will receive training on NIMS and ICS with the goal of achieving training up to the level of ICS 400. Functional Unit Heads - will receive training in NIMS and ICS with the goal of achieving the training level of ICS 320. This training will be provided by online resources, Federal Emergency Management Agency (FEMA), the Kansas Department of Emergency Management or other third- party providers. The Unit Heads will also receive orientation and training on the EMP provided by the Emergency Co-Managers or the CIPG. Functional Unit Support Staff - The Support Staff will receive training in NIMS and ICS through the ICS 100/IS 700 levels. This training will be provided by online resources. Training and orientation to the EMP will be provided by the Emergency Co-Managers or the CIPG. Follow-up training will be conducted as necessary and whenever needed to train new or replacement personnel. The specific members, duties and protocols are contained in the Preparedness Appendix. Exercises are wide-ranging activities that test emergency preparedness and the effectiveness of the EMP. There are five exercise phases: Foundation, Design and Development, Conduct, Evaluation, and Improvement Planning. Foundation - This phase establishes a plan for exercises and a time line for accomplishing the goals of that planning. These activities are led by CIPG and are incorporated in the EMP. Design and Development - This phase sets objectives of the exercise, develops the scenario and selects the participants. This phase will be led by the Emergency Co-Managers prior to the exercise. Conduct - This phase encompasses all facets of the exercise, including set-up, organization, selection of facilitators and other players, and wrap-up. This phase will be coordinated by the Emergency Co-Managers unless outsourced. Evaluation- This phase assesses the strengths and weaknesses of FHSU's emergency preparedness in light of the type of exercise and scenario involved. An After Action Report and Improvement Plan will be prepared by an evaluation committee. The make-up of the committee will depend upon the type of activity involved but will include the Emergency Co-Managers, the functional unit section chiefs (if applicable), and other representatives of the Incident Management Team (IMT). The Emergency Co-Managers will be responsible for selecting the evaluation committee. Ideally, the After Action Report and Improvement Plan will be completed and submitted to CIPG within 30 days following the training activity. Debriefings of facilitators, observers and responders will also be conducted by a facilitator selected by the Emergency Co-Managers. Improvement Planning - This phase addresses issues identified in the After Action Report and Improvement Plan. Following the submission of the report, improvement planning will be conducted by CIPG, areas of weakness will be addressed and revisions will be made to the EMP. The following types of exercises will be used to evaluate FHSU's emergency preparedness. While the nature, scope and frequency of these activities will vary, each will follow the five exercise phases described above. Because all types of exercises involve some potential interference with the operations of FHSU and because of the sheer number of activities and constituents involved on campus on a daily basis, a precise schedule for the conduct of exercises cannot be determined or guaranteed. However, the plan for exercises is the statement of FHSU's intent. A drill is an exercise that focuses on a single component of the EMP and that tests only one function of emergency management. Examples of drills include a test of FHSU's emergency notification system or a test of FHSU's evacuation process for residential life facilities. Drills will be conducted at least once annually of one or more of the individual components of the EMP, with the participants varying depending upon which EMP component is being tested. A tabletop is an informal exercise that involves discussion among emergency responders and managers on how to respond to a hypothetical emergency event. The hypothetical scenario may be created by the Emergency Co-Managers, by the CIPG, or by local or state emergency management representatives. A tabletop should ideally be conducted once a year, covering a different emergency event each time. The Emergency Co-Managers will select the appropriate response team, depending upon the nature of the emergency. A functional exercise tests a major or complex response function and may include a simulated response to a specific event. An example of a functional exercise could include testing FHSU's COOP with regard to a tornado strike on campus. The exercise may be limited to only one facet of the event, such as relocation of residential students or continuation of classes from an alternative location. The entire response team may be used and an actual simulation of events may occur. For this reason, functional exercises will be less frequent than either drills or tabletops and will be conducted during a period when on-campus activity is minimal to lessen disruption. However, the functional exercise should be planned at a time and in a manner to give a realistic evaluation of FHSU's preparedness and response to the event. It is anticipated that both local and state emergency management representatives will assist FHSU with both the planning and the execution of the functional exercise. A full-scale exercise tests a major part of all phases of the EMP. An example of a full-scale exercise is a simulated response to a tornado strike on campus, which tests all phases of emergency management-mitigation and prevention, preparedness, response and recovery. Like a functional exercise, it is anticipated that the entire IMT will be utilized, and the activity will represent a major, although temporary, disruption of FHSU operations. For this reason, a full-scale exercise will be the least frequent of all of the exercises. Local and state emergency managers will be involved in the planning and execution of a full-scale exercise. The specific members, duties and protocols are contained in the Preparedness Appendix. Resource management during an event has a distinct beginning and ending specific to the particular incident. The CIPG, in conjunction with the Emergency Co-Managers, will work with the local emergency planning officials to develop a review of resources. 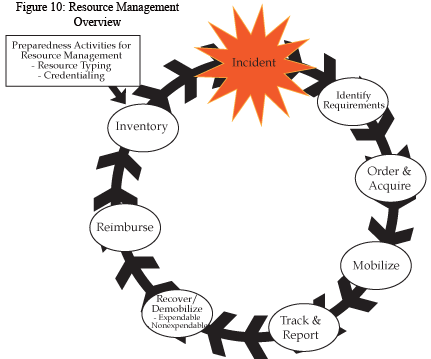 The resource management process can be separated into resource management during the preparedness phase and resource management during an incident. The preparedness activities (resource typing, credentialing and inventorying) are conducted on a continual basis to ensure that resources are ready to be mobilized when needed.